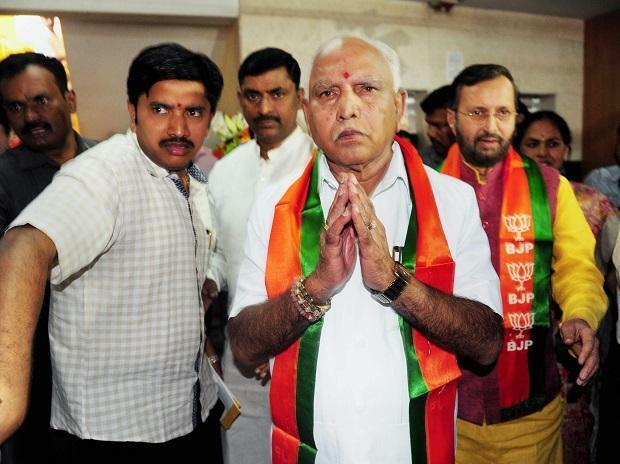 Accusing Karnataka Chief Minister H D Kumaraswamy of blackmailing him, BJP's Karnataka unit president B S Yeddyurappa on Sunday said the content and voice in the audio tape are fabricated and doctored. Quoting Yeddyurappa's statements in Kannada, party spokesman S Shantaram told IANS that the opposition leader would reveal all about the controversial audio tape in the state Legislative Assembly here on Monday when its budget session resumes. Recalling what transpired between him and the MLA's son, the former BJP Chief Minister in the state said he would retire from politics if Kumaraswamy proved that I told Sharangouda money (Rs 50 crore) was given to Assembly Speaker K R Ramesh Kumar for not invoking the anti-defection law if Kandakur joined the BJP from the JD-S.